Features and Benefit, Standard® Series,Junior Mechanical fittings, Standard® ,Products,Rockpower - Fluid Handling Equipment and Machine Parts. The Standard Series of Junior Mechanical Fittings are designed to suit specified outside diameter tailored to your particular needs. Carbon Steel Pipes for ordinary piping. with working pressure 1.0Mpa / 1.6Mpa for water and 0.4MPA for gas. 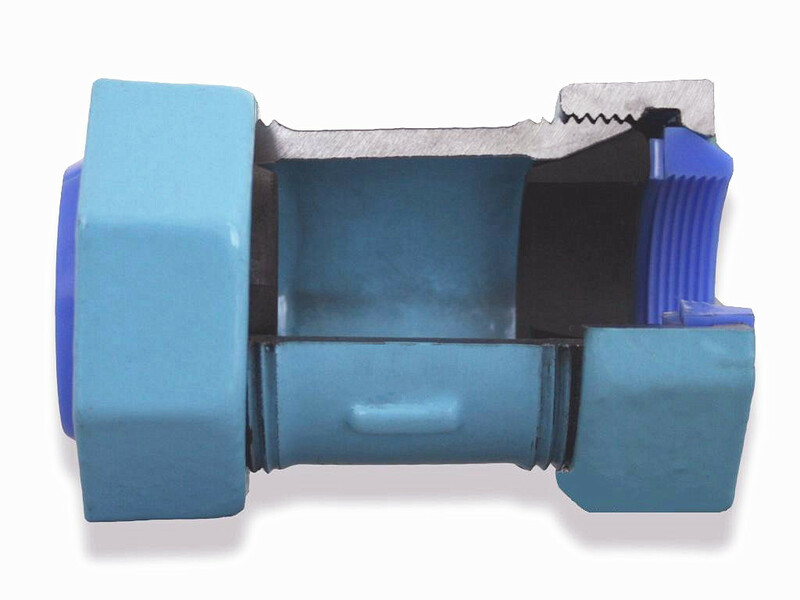 Junior Mechanical Fittings are designed for a wide variety of plain-ended pipes connection, no more need on-site threading or welding, just push on the pipe and tighten the caps, the fittings will form an effective permanent leak tight joint. Piping work in narrow corners and in all weathers is possible now by using Junior Mechanical Fittings. Inside and outside surfaces are Cathode Electrophoresis Coated and then Epoxy Powder Coated to supply double protection. Thread in body and caps are Cathode Electrophoresis Coated, elastomeric gaskets and lock rings are made of the best materials available for the duty to supply high reliability. The Standard Series of Junior Mechanical Fittings made of malleable cast iron are designed to last the life of the pipeline in all weather conditions including cold region. The Standard Series of Junior Mechanical Fittings are designed with Lock Rings made of Acetal Copolymer to bear end Load according to Type 2 performance requirements of the UK Water Industry Specification WIS-24-01. The Standard Series of Junior Mechanical Fittings are designed to allow upto 6° Setting Angularity. Junior Mechanical Fittings can be used as Unions to supply extra convenience when removing pipes for maitanance or retation of pipe section for cleaning or wear reduction.